WASHINGTON, DC—Earth’s most eminent emissary to Mars has just proven that those rare Martian visitors that sometimes drop in on Earth — a.k.a. 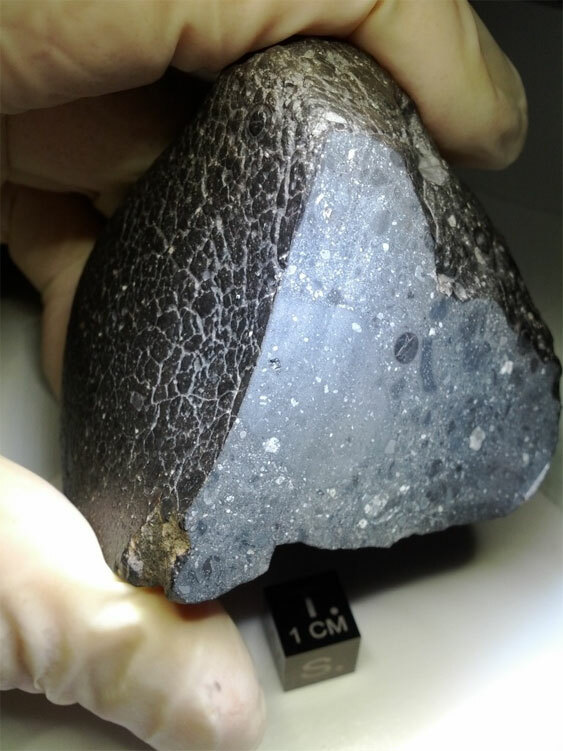 Martian meteorites — really are from the Red Planet. A key new measurement of Mars’ atmosphere by NASA’s Curiosity rover provides the most definitive evidence yet of the origins of Mars meteorites while at the same time providing a way to rule out Martian origins of other meteorites. Years of past analyses by Earth-bound scientists of gas bubbles trapped inside Martian meteorites had already narrowed the Martian argon ratio to between 3.6 and 4.5 (that is 3.6 to 4.5 atoms of Argon-36 to every one Argon-38) with the supposed Martian “atmospheric” value near four. Measurements by NASA’s Viking landers in the 1970’s put the Martian atmospheric ratio in the range of four to seven. The new SAM direct measurement on Mars now pins down the correct argon ratio at 4.2. “We really nailed it,” said Sushil Atreya of the University of Michigan, Ann Arbor, the lead author of a paper reporting the finding today in Geophysical Research Letters, a journal of the American Geophysical Union. “This direct reading from Mars settles the case with all Martian meteorites,” he said. One of the reasons scientists have been so interested in the argon ratio in Martian meteorites is that it was – before Curiosity – the best measure of how much atmosphere Mars has lost since the planet’s earlier, wetter, warmer days billions of years ago. Figuring out the planet’s atmospheric loss would enable scientists to better understand how Mars transformed from a once water-rich planet more like our own to the today’s drier, colder and less hospitable world. Had Mars held onto its entire atmosphere and its original argon, Atreya explained, its ratio of the gas would be the same as that of the Sun and Jupiter. They have so much gravity that isotopes can’t preferentially escape, so their argon ratio – which is 5.5 – represents that of the primordial solar system. While argon comprises only a tiny fraction of the gases lost to space from Mars, it is special because it’s a noble gas. That means the gas is inert, not reacting with other elements or compounds, and therefore a more straightforward tracer of the history of the Martian atmosphere. NASA’s Jet Propulsion Laboratory, Pasadena, Calif., manages the Curiosity mission for NASA’s Science Mission Directorate, Washington. 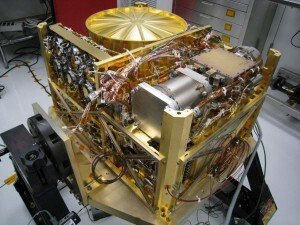 The SAM investigation on the rover is managed by NASA Goddard Space Flight Center, Greenbelt, Md.